The Ski Chase is back! 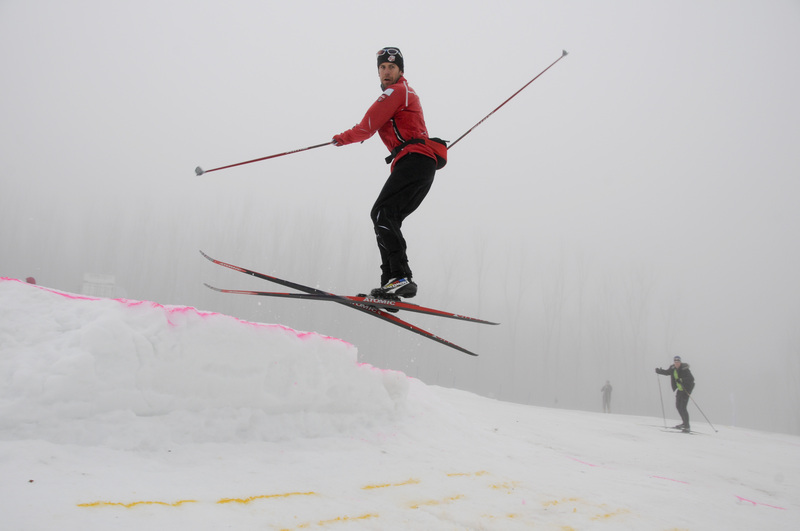 The Victorian Ski Chase is a cross country ski racing series that incorporates pre-existing club- based citizen races and rewards participation. Participants will need to compete in five races to be eligible for prizes. A point scoring system based on race result placing and an age handicap will be used to determine who wins the Ski Chase. The On-Line entry system for a selection of Perisher Valley events is now active !! On-line entry for the following events is available on the NSW Snowsports website, then select the XC page. Please contact us if you have problems or comments on the system. Here we are again – cold, snowy and exciting. Winter came so suddenly and early that the lucky ones got a bonus pre-season weekend of fine weather and fun skiing. The attached 2012 Winter Newsletter has news, information about events and activities and introduces some new initiatives. But first it announces that the on-line entry system for a series of Perisher Valley XC events is up and running. Thanks to all involved for the support that has been provided over the summer at work parties and through donations of time, material and funds. The Nordic Shelter is warmer for new windows and cladding. And the new snow fences have been filled and farmed already. Looks like a good winter ahead. We hope you all get a chance to enjoy it. 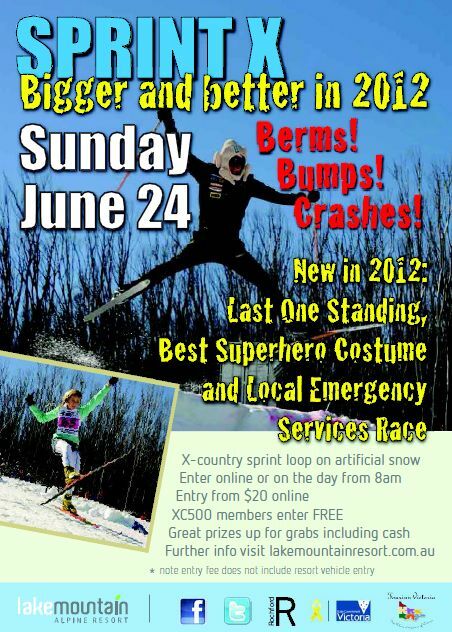 The 2012 Australian cross country racing season opened yesterday with the Sprint X event at Lake Mountain. The big guns came out for the day, with 2010 Winter Olympians Esther Bottomley and Paul Murray winning the open finals. There was lots of close racing and plenty of brave sprinters willing to risk it all on the ‘big’ jump (see below). The closest race was in the junior girls with a very tight battle between Casey Wright and Katerina Paul, with Katerina winning after making a sharp tactical choice in the closing stages. This Australian winter Fast and Female is partnering up with Ski de Femme to provide two days of fun and on-snow clinics for girls and women of all ages. Fast and Female was started in 2005 by 2006 Olympic Gold medalist Chandra Crawford and is dedicated to female empowerment, inspiration, and motivation through sport. Events will be held at Falls Creek on July 8 and at Perisher Valley on July 22. Click on the images below for more details of each event. All systems are go for the 2nd Lake Mountain Sprint X, the season opening cross country race at Lake Mountain on Sunday June 24. A steady supply of artificial snow will ensure a rewarding course that includes berms, jump and bumps but most of all is fun to ski. Enter online via the Lake Mountain website or from 9am on the day. The Time Trial starts from 10am. See the event poster and course map below. The Paddy Pallin Junior cross country ski race will be held at 11am on Saturday 30 June 2012 – at the Sverre Kaaten Nordic Shelter, Perisher Valley. The race is for children up to 16 years of age (for the 2012 race you must be under 16 years at 31 December 2011).